There are four elements that make up the entertainment for each Mickey’s Not So Scary Halloween Party: Dance Parties, Happy Hallowishes Fireworks, Mickey’s Boo-to-You Parade and the Villains Mix & Mingle. The dance parties offer you an opportunity to dance the night away with your favorite character and are available throughout the party. I recommend visiting the dance parties later into the night in order to make the most of your limited time. 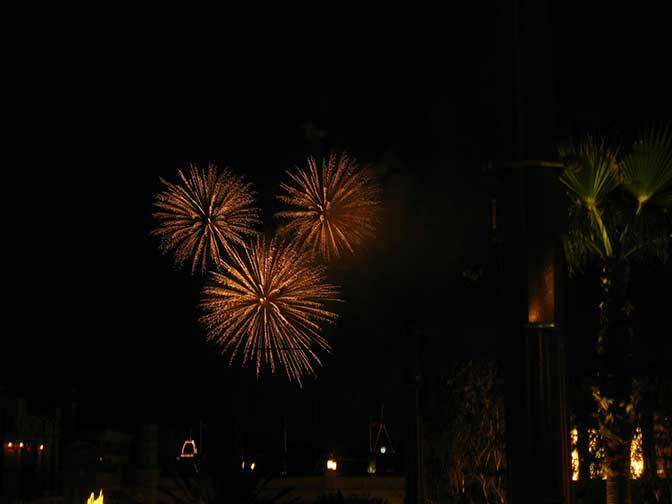 This is one of my favorite Disney fireworks shows. It combines pyrotechnics with great Halloween themed music and even has a 180 degree finale of vibrant explosions that will really shake you. You’ll hear from the Ghost Host, Oogie Boogie, Ursela and other Disney villains. Be sure to stand somewhere behind the Walt and Mickey statue. If you get too close, you’ll miss some of the timed fireworks. If you get too far away, you won’t be able to see the projections upon the castle. I recommend standing somewhere between Casey’s Corner and the Hub on Main Street for the best view. Arrive 15-30 minutes early for the best locations. One of the best parades in all Disney parks! If you have your space secured 15 minutes before the start time, have your camera ready for the ride of the Headless Horseman. During the parade many great characters parade past, but the highlights are the Haunted Mansion Gravediggers who grind their shovels on the ground creating sparks, the Haunted Mansion dancing ghosts and the Ghost Riders in the Sky. I recommend attending the second parade. You won’t have to secure a spot as early. The best spots for the first parade are usually taken 60 minutes early and the same spots could be found for the second parade 15-30 minutes early. The mischievous Sanderson Sisters from Disney’s “Hocus Pocus” return to the mortal world during the Halloween season. With only a few hours to run amuck, the three sisters use their magic to throw the best, most evil Halloween party this side of the graveyard! The Cadaver Dans are the party version of the fabulous Dapper Dans singing group that appears on Main Street daily. They dress up for the haunted occasion and sing some special songs. Trick, treat and bring your dancing feet to this spirited celebration featuring some favorite Disney Junior Characters. Prospector Cactus & Flower Cate rounds up youngsters for the Frontierland Costume Promenade, encouraging them to show off their costumes in a quest for the greatest treasure in the land – candy! Full schedules for all show and character meets are available on Character Locator! I’m not really sure – I read through the comments here and saw someone ask you if they could sit somewhere for the parade, fireworks and the hocus pocus show you and replied with “You can do that. Read my review on the Villains Soiree” but I’m not sure where to find that? Thanks! 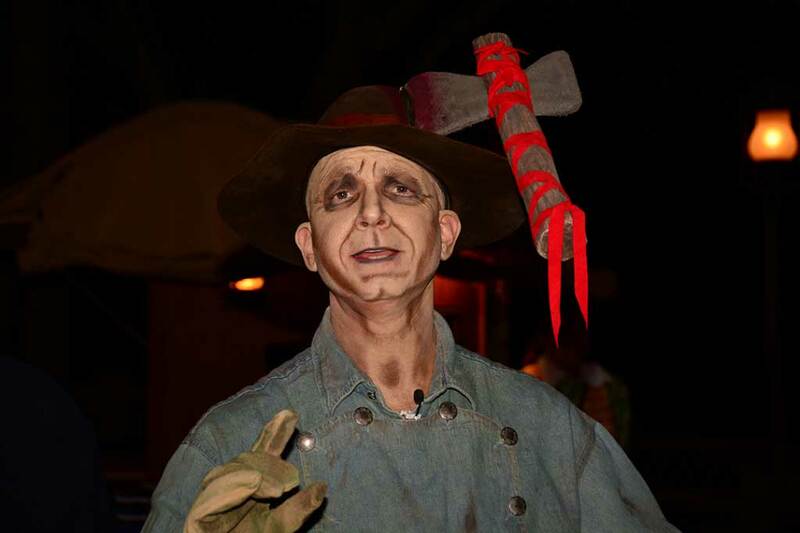 Kenny – where can I find your review on the Villians Soiree? I searched your site but couldn’t find, thanks!! Do you recommend waiting until midnight to see the Hocus Pocus show? Or is that the most crowded show time for it? I prefer the last show of the night. Kenny, do you know the best location on Main Street with the best lighting to take pictures during the parade? Not sure on that one, really depends upon your camera. Look for a light stand and be under it. Is the Villain Dance Party not happening this year? Not sure if you have seen this yet, but disneyworld.com’s schedule is showing different times from last years. Fireworks at 10pm, last parade at 11:15pm. This messes up your touring plans, I think, because I don’t think you could still watch the 2nd parade at 11:15pm and still manage to get in line for Jack & Sally? Since they are changing up the Halloween Party and now there is the Hocus Pocus Villain Spectacular, do you think we can still expect the other same characters to appear? Do you think the sisters will be doing autographs or if there will be other changes to the party? I have my tickets for Sep 22 and I am SO FREAKING EXCITED!! I’m literally on your website daily!! Do the dance parties have set times? Is Hades party of the villains mix and mingle stage show? Lots of great places, but I prefer anywhere the parade turns. What time is the Monsters Inc characters dance party during Mickey’s halloween party? Thanks, Kenny! That really helps..
How long does the parade last? Can you confirm whether the Headless Horseman ONLY makes an appearance at the 1st parade and not the second parade?? I heard that on a podcast. Thanks! Horseman runs for both parades as long as road isn’t too slippery. I’ve seen him second parade many times. Podcast was wrong.